I’ve no problem with creative marketing, but I felt that using children to promote washing powder was going a little too far. I shared my opinion with one of the adults present. You can imagine my surprise when they explained that in fact, the children were part of a protest action which was aimed at keeping their schools open by trying to attract more white pupils. In lekker tolerant Amsterdam, the two schools in question are facing closure as 90% of their pupils are what the government defines as black. Which brings me to the subject of today’s post, black schools in the Netherlands. So in the year 2015, in the capital city of the self-styled most tolerant country in the world, there are two schools in Amsterdam that are facing closure due to not being able to attract enough white pupils. What on earth is a black school? The Dutch government classifies any school whose ethnic mix has more than 60% of people from a non-western background as black. 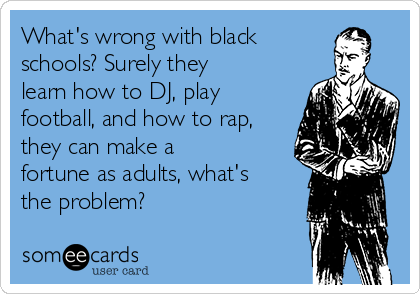 So if kids are from a Moroccan, Turkish, or Surinamese origin then they’re automatically considered to be as black as Dr Dre. (Great producer, unreliable headphones). With this in mind, the next time I pay a visit to the excellent Turkish restaurant Killim in Amsterdam, I’ll say to the staff. “Yo brothers, what’s up my ni**ers” after all according to the Dutch education system kids from a Turkish background are black. 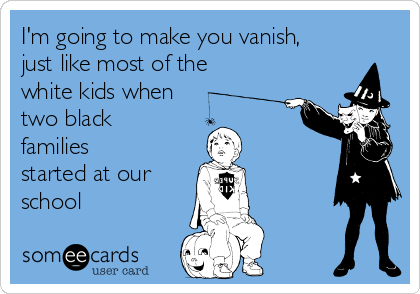 The fact that black schools exist, has nothing to do with racism. In fact anyone that would dare suggest such a thing is ignorant of how involved the Netherlands were in the anti-apartheid movement. The Dutch refused to tolerate racial segregation in South Africa. 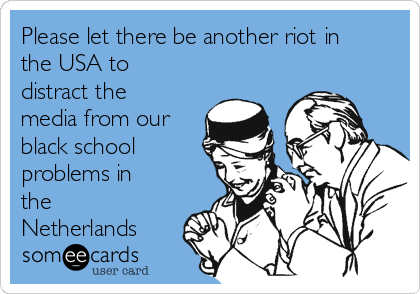 The Dutch were also against racial segregation in the USA, why would they allow it in the Netherlands? The phenomena of black schools in the Netherlands is all about ensuring that people from non-western backgrounds are educated together. Which makes perfect sense. 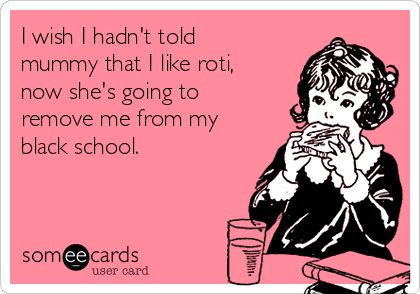 Kids from a Moroccan heritage naturally have lots in common with their peers from Suriname. Have you been to the Pijp area of Amsterdam? One of the schools trying to attract more white pupils is in the Pijp. The neighborhood is whiter than the cast of Gooische Vrouwen. (If there’s someone you really dislike, send them a DVD of this show). It’s absolutely understandable why the school in question can’t find enough white pupils. Black schools often have worse results than their “normal” counterparts. That’s fine for Mohammed, Serap and Dineth, but we can’t have Jeroen and Anouk not getting a good enough education. “Black people, even those who are not black, but we label them as such, used to be a lot happier before social media was around. Now they read on Facebook that they shouldn’t be happy with being segregated into schools based on race. What’s the problem anyway? Surely they’ll be happier mixing with their own kind? You know this kind of thing really should be ignored, it’s not a big deal. Have you seen what’s been going on in the USA recently? Terrible. For starting this campaign and gaining international media attention. I see a lot of the usual defensive comments on social media about this issue. It appears that the majority of commentators are not bothered by racial segregation in the Dutch education system, but in fact are more concerned about being accused of racism, which naturally doesn’t exist in the Netherlands. “Culturen segregeren zichzelf. Men mag zelf kiezen waar ze naar school gaan of hun kinderen naar toe sturen. The sun is shining. It’s a beautiful day. Yes there are black schools in the Netherlands but it’s not a problem, racial segregation is absolutely fine in the year 2015. What expats need to know about black schools in the Netherlands? Yes they exist, and it looks bad, but there are perfectly logical explanations to justify their existence. In Amsterdam and Rotterdam 50% of basis schools (primary schools) are classified as black. I’ll leave the last words of this post to Humanity in Action. Rot op met je segregatie het is gewoon zo!